2018 release. 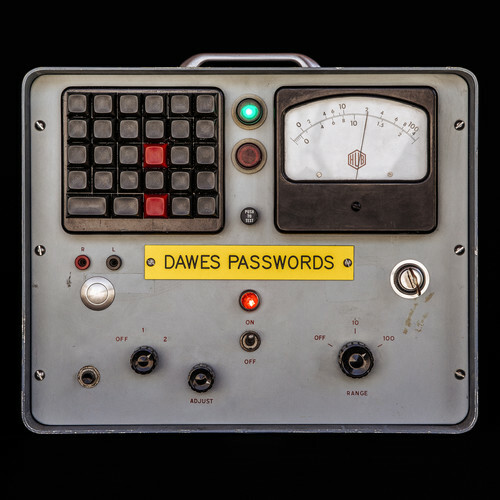 On the group's sixth album, Passwords, inspiration pulls guitarist/singer Taylor Goldsmith, drummer Griffin Goldsmith, bassist Wylie Gelber, and keyboardist Lee Pardini into their most universal, topical territory to date. This is a record about the modern world: the relationships that fill it, the politics that divide it, the small victories and big losses that give it shape. Taylor's writing is personal at points - the result of his recent engagement, which lends a sense of gravity and self-reflection to album highlights like "Time Flies Either Way" and "I Can't Love" - but it also zooms out, focusing not on the director himself, but on everything within the lens.